Oregon — On October 3, 2013 Trooper Matt Zistel, 26, Stopped a Cadillac driven by John Van Allen, 34, for speeding. As seen in the video, Allen immediately jumps out of his car appearing to be agitated at the fact he was pulled over by Trooper Zistel. Trooper Zistel orders Allen back inside his vehicle multiple times but Allen fails to follow the Troopers orders. All of a sudden Allen advances on the Trooper pulling out a semiautomatic hand gun, assumes a firing stance, and begins firing at the trooper. The Trooper returns fire hitting Allen in the chest, the video shows Allen gasp for air after he is struck. Troopers located Allen’s vehicle a half mile down the freeway. As Troopers approached the car they observed Allen slumped over the steering wheel. However it was the children that were found in the vehicle that shocked Troopers the most. Allen had his three children in the car at the time of the shooting. The children were unharmed and are now in state custody. 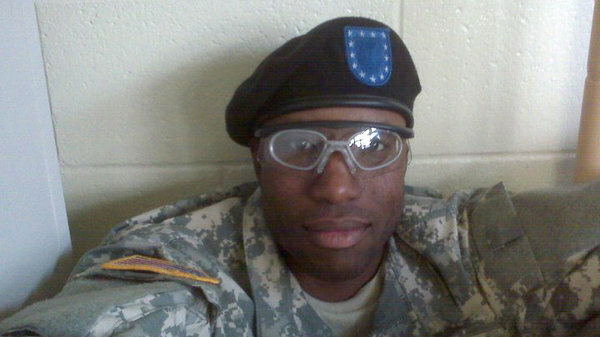 Officials reported that Allen was in the Army reserves from 2009-20012. Reports show Allen was wearing military style clothing at the time of the shooting. Allen dies from the gunshot wound to his chest. Trooper Matt Zistel was treated for his gunshot wound to the side and released. Matt Zistel has been with the state police for five years and has been cleared in the shooting.